From the pinball wizards at Zen Studios comes Marvel Pinball: Epic Collection Vol. 1, a thrilling collection that bundles together ten classic Marvel pinball tables based on some of the greatest heroes and storylines in the Marvel universe. Swing through the streets of New York City with Spider-Man, shrink to gigantically tiny proportions in the Ant-Man table, become the Daywalker to combat the nefarious vampire forces in Blade, and choose your side in an epic showdown in the Civil War table, and many more. 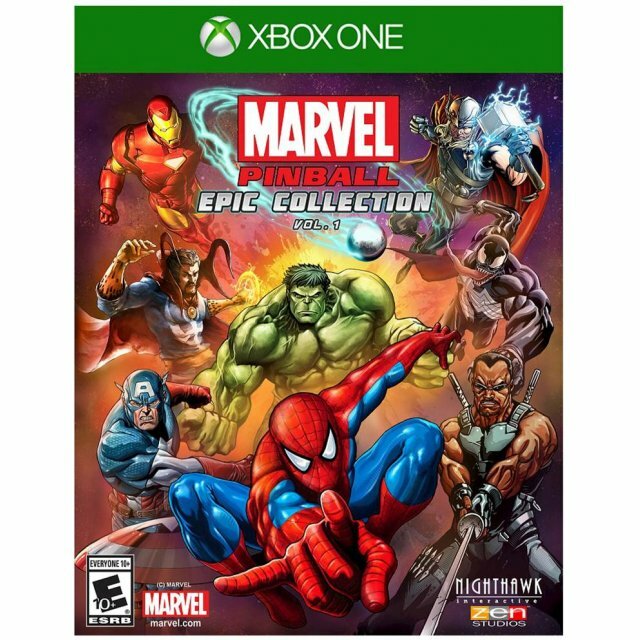 The Maximum Family Games Marvel Pinball Epic Collection Volume 1 Xbox One Game was added to the Xbox One Games category in January 2018. The lowest price GetPrice has found for the Maximum Family Games Marvel Pinball Epic Collection Volume 1 Xbox One Game in Australia is $28.00 from The Gamesmen.